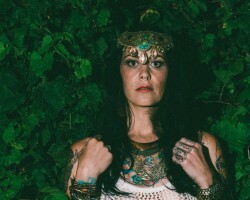 KAS Makeup is owned and operated by Kristin Schmid. 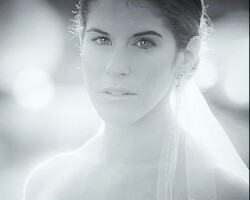 She has been a makeup artist in Minneapolis, MN, specifically working with brides in the area for many years. Kristin has always had a passion for makeup, playing with the textures and shadows to become the best that she can be. 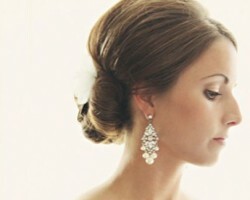 This is something you should take advantage of when you hire her to complete your entire bridal look. She will make you feel comfortable and will also make sure the makeup perfectly matches your style. Emily J Hair + Makeup was founded in 2007 by the owner, Emily. She and her team work to make sure their clients are completely comfortable with their bridal makeup and love the complete look. With experience getting countless brides ready to walk down the aisle, this team knows how to accommodate for many style request while also ensuring the look feels like permanent makeup and will last for the entire celebration. These, along with the outgoing nature of each artist on the team, are all things that reviews of the service can’t say enough about. Wedding makeup and hair completed by Brett of Brett Dorrian Artistry Studio is always flawless. Known throughout Minnesota for his impeccably detailed makeup application style and for his outgoing personality, you will love having this professional helping you to get ready on your wedding day. Whether you want a natural but enhanced version of your features or would like to have the complete glamour treatment, he is there to accommodate in a way that will make you feel comfortable and ready to take in every moment of your celebration. Roe Wolfe Boutique is the home of many experienced Minneapolis makeup artists that offer everything from model and print work to bridal makeup and more. You can hire one or many members of this team to come to your venue and help you get ready for the walk down the aisle or you can come to them. In either case, they will make you feel comfortable with the look you have chosen and will help you relax while they do the work. Lash Haus is a company that offers professional makeup design that will help you feel beautiful and ready for the biggest day of your life. For affordable prices, you can have a professional makeup artist from this company come and complete the look that you have always wanted for your wedding day. You will not have to worry about getting yourself ready and therefore can relax and really soak in the magic of your wedding. Taking away the stress and the pressure while also making you feel great is the one aim of this service.